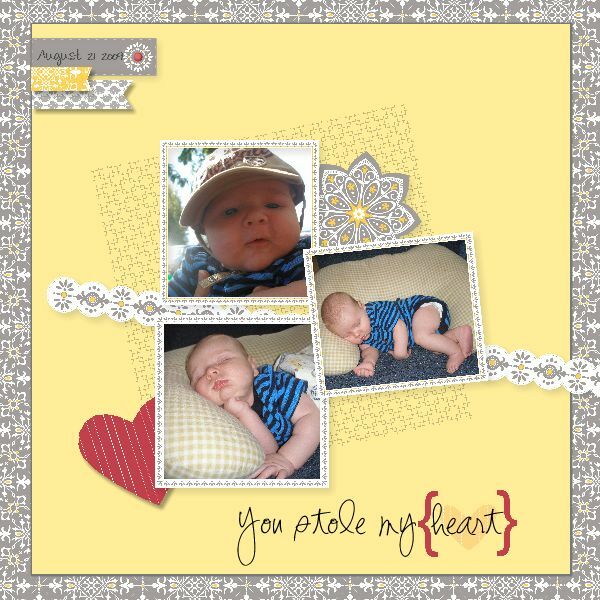 Sweet Stampin' Spot: Super quick! Features my favorites- yellow and gray! And I threw in a pop of red as well. This is Mason when he was not quite 1 month old. He fell asleep in the curve of the nursing pillow. So sweet! Hard to believe that now he's literally running around the house with his underpants on his head yelling "Captain Undies, Captain Undies!!" Aww! Such a cutie pie! I really like yellow and grey together, Tamara! 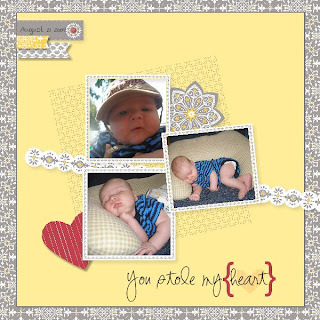 You're doing well with your Digital Scrapbooking! Exciting times!! New product available TODAY!